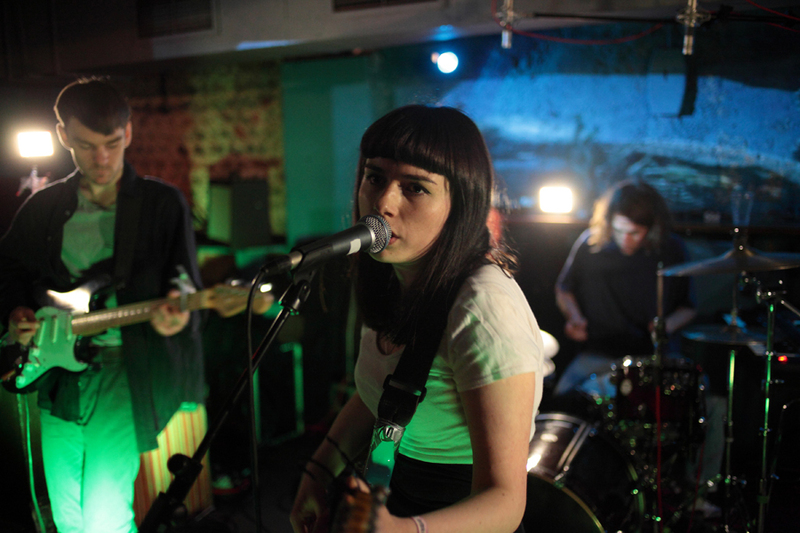 It’s not just Fear of Men who are off to Europe on tour next week – Flash Bang Band are too. Here’s a brand new video for Young Rogue from their album Bite Your Tongue that they’ve posted to celebrate, made up of footage from last year’s European tour. Handprints is the sound of the party starting – lots of cowbell, housey piano and uplifting vocals. Eagles for hands are top of our list of bands to catch at the Great Escape next week – they’re at Coalition on Saturday night at 2.30am, and also at KLDSCP’s party alongside Caveman Genius and Foreign Skin and a whole host of other acts. Fujiya & Miyagi’s new album Artificial Sweeteners is out on Monday, although if you get down to Resident today they’re already selling signed copies. Flaws is the first single and is a great indicator of what to expect from the rest of the record – classic Fujiya & Miyagi with more electronics thrown into the mix. There’s still a few tickets left for their gig at the Haunt on 6th June but it will sell out, so I’d get a ticket sooner rather than later. 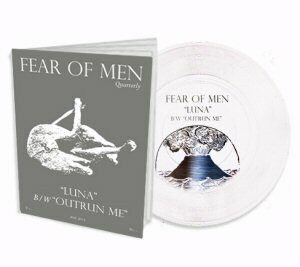 Luna is the first single from Fear of Men’s brilliant new album Loom. If we didn’t love the track (which we do), it might have warranted a place in our top ten just on the basis of the utterly beautiful packaging – a fanzine written by the band and a clear flexidisc (along with download codes). AK/DK’s new album Synth + Drums + Noise + Space was one of our highlights this month. The lead track is the bleepy Maxwell’s Waves, and electronic krautrock rush. AK/DK are the support at Fujiya & Miyagi’s gig at The Haunt that we mentioned earlier. In April, Curxes put out Precurxor – a roundup of of old tracks and demos to keep our interest while they get on with the business of recording their proper debut album. It’s definitely working for us. Our highlight is Jaws, which captures the urgency and power of their live shows. When we heard that Jacqueline from Kins had a new project, we didn’t envisage Winston & Goldstein, whose main influence seems to be mid-nineties alternative dance music from what we’ve heard so far. There’s a heavy hint of Leftfield in Ode to a Massive Obsession, which can only be a good thing in our book. Oh, and the video is all kinds of brilliant too. Speech Coma is the new Blood Red Shoes single. The the chorus goes “I can’t get the words out / I can’t get the words out / It’s like someone cut out my tongue”. And so does the video. Quite literally. Not for the faint hearted. We haven’t got a media link for Gotta Do Better, the latest offering from Cate Ferris. The only way to hear it is to sign up to her page on PledgeMusic, where she’s currently raising money for her new EP. Restart is on Cleff’s new Listen In EP, a lovely blend of electronic and classical music. We posted open the EP’s opening track Big Ideas earlier this month, but it was Restart which got under our skin. Fickle Friends have got a real knack for a catchy pop song. We loved Swim earlier this year, and they’ve done it again with Play. Fickle Friends are another band who are on our list for the Great Escape, playing at the Green Door Store on Saturday night, and at the Mesmerist on Saturday afternoon. We’ve got two Fear of Men related things to write about today, so we thought we’d wrap them up in one handy blog post. First is more info on their new single Luna, which we first posted about a fortnight ago. Art is Hard records, who are putting out the release on April 7th, describe the format as a Flexizine: a 20 page A5 fanzine – Fear of Men Quarterly – and a 7″ flexidisc. We put up the audio of A-side Luna with our earlier post on the single, and yesterday the b-side Outrun Me was premiered in the Guardian’s music section, which we can share with you now. The Luna Flexizine can be pre-ordered from the Art is Hard website. The single Luna precedes Fear of Men’s debut album Loom by a fortnight. The Brighton launch takes place on 15th April at the Dome Studio Theatre (formerly the Pavilion Theatre) at a new night being held called Spectrum (formerly Source New Music). With Source Magazine sadly retiring from it’s physical form, Brighton Dome have taken the opportunity to revitalise their new music project. As well as the new name, they’ve got a new partner in Resident record shop, and they’re also expanding the scope of what they do. Spectrum Live replaces the monthly music nights that they put on, which always had great line ups. On top of that there’s also Spectrum Seminars, which will give local musicians to learn more about the industry, Spectrum Site & Sound which will offer the opportunity for musicians to collaborate with film makers to create something within the Dome complex, and Spectrum Residencies which sees the Dome working with individual artists to develop their live act. We look forward to seeing how these develop over the coming months – no doubt there’ll be plenty of blog from us along the way. Fear of Men have announced the first single from their upcoming album Loom. Luna will be released on a 7″ flexi disc on 7th April on Art is Hard, preceding the album which is out on 21st April on Kanine Records (with a special edition being released for Record Store Day on 19th April). Fear of Men play a launch party for the album at the Dome Studio Theatre on 15th April before playing some more gigs in London and New York.